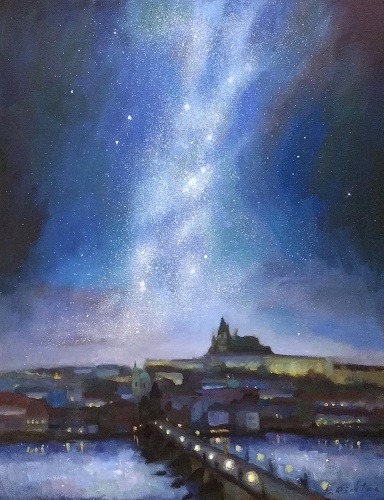 Milky Way lighting the city of Prague. Plein air painting of Essex marsh. A bench by the city hall was a perfect vantage point to paint from. Late afternoon sun lit everything in warm hue. A colonial homestead in Concord, Massachussets. Hills of Highlands region of Northern Bohemia, Czech Republic. I really enjoyed watching beautiful sky during a week long Caribbean cruise. One can be fascinated for hours just looking at the sky and ocean. Pure bliss. 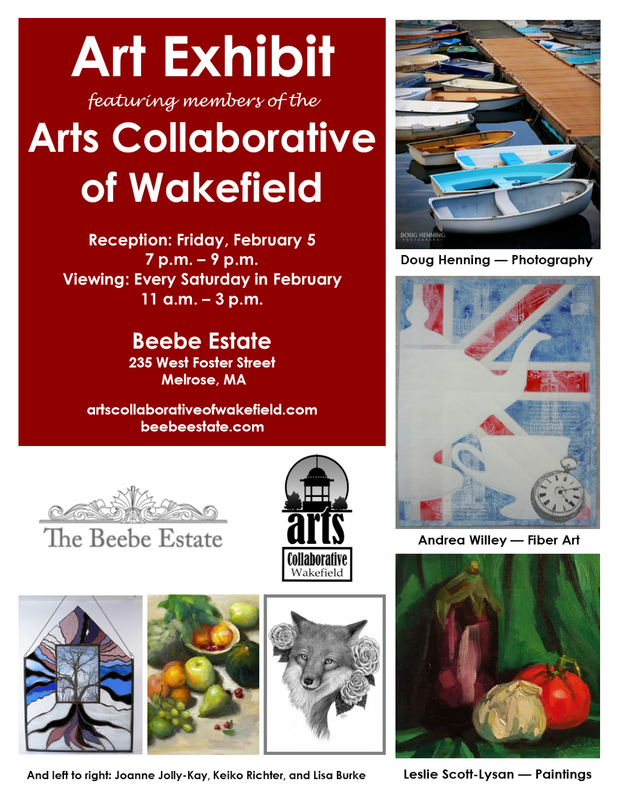 During the month of February, my recent paintings of New England landscapes and still lifes will be on display for sale at Beebe Estate in Melrose. 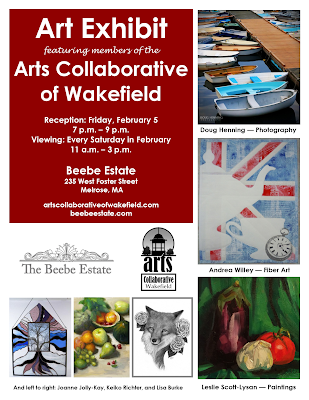 Please come by if you're in the area! A Gothic tower of Znojmo town hall. A historic city in southern Bohemia, Czech Republic. A typical Czech country side of gentle hills and golden field. Raná Hill and a small village in Czech highland. A delivery truck driving through the Bohemian highlands. My parents in Czech have turned a plain 1/2-acre plot into a beautiful garden. It looks beautiful any time of the year. While traveling in Czech in September, I painted a small watercolor of Prague Castle. Some of my works will be available for sale at the annual SMFA Art Sale! For the second painting of Paint Essex event, I setup behind Woodman's for a nice view of the town. There were some thunderstorms in the area, making some dynamic cloudscapes. Really enjoyed painting this piece. Last weekend was the annual Paint Essex event. Many artists participated once again to paint on a beautiful summer day. After drawing a rough sketch, I immediately painted the sky and the water. The tide changes quickly, so it's very important to put in the water's edge the way I like it. Almost done laying in the greens. After 2 hours, the tide completely filled the waterway and the appealing dark shadows were gone. I'm glad that that part was already painted.